St. Croix offers the best of the U.S. Virgin Islands for any patrons on a Caribbean cruise vacation. 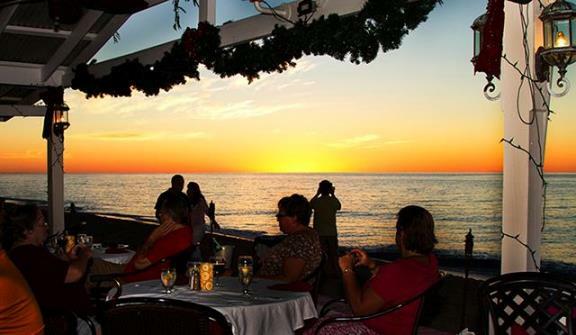 From great shopping to a relaxing time in the sun, visitors can explore the island or go swimming – but no trip to St. Croix is complete without eating at one of the island’s many amazing restaurants. 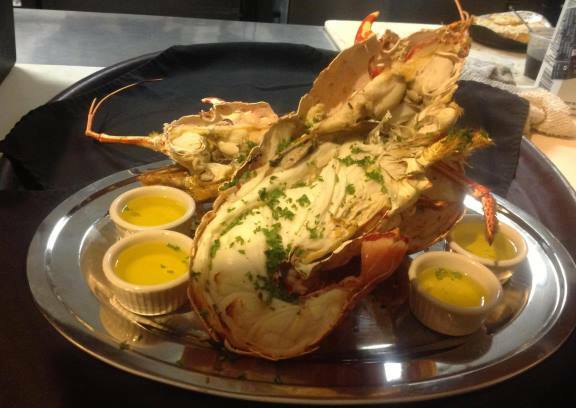 St. Croix offers a wider variety of cuisines to dine on. The local Crucian fare will be a treat for any visitor, but there are also a plethora of specialty and more down to earth places to eat that offer a filling, exciting meal. Below are a few of our favorites places to eat across the island. 40 Strand Eatery – The 40 Strand Eatery, aptly named for its address in Christiansted, offers Caribbean fare with a vegetarian flair. For omnivores and carnivores there are meat-dishes on the menu, but the eatery’s specialty is in vegetable-based plates that will make your mouth water. 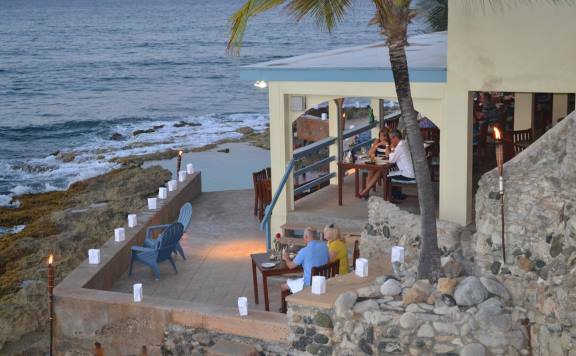 Avocado Pitt – The Avocado Pitt is an amazing bistro located right on the Wharf in Christiansted. Grab breakfast or lunch here before touring the town or grab a boxed lunch to take with you as you explore. Beach Side Cafe – Why leave the beach to eat when you can have both at Beach Side Cafe in Frederiksted? This cafe/wine bar provides great light meals to compliment your day in the sun, as well as a wide variety of cold drinks to keep you in the island spirit. Reserve your lounge chair in advance by getting a Cruise Ship beach day pass at http://www.sandcastleonthebeach.com/cruise-ship-beach-pass. Galangal – For a different type of island cuisine, Galangal offers top-quality Thai food for patrons visiting on their Caribbean cruise. 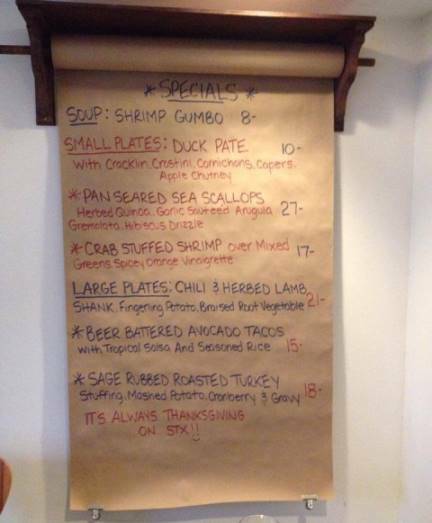 Galangal is one of many visitor’s favorite places to eat on St. Croix, located at 17 Church Street in Christiansted. For a special treat, arrive early and peruse the restaurants art gallery for a bit of Thai history and culture. The Galleon – Located at The Reef Resort in the Green Cay Marina, The Galleon offers seafood favorites to guests, as well as an extensive wine and cocktail list. Visit for dinner then relax in the restaurants piano bar, or visit earlier in the day for an amazing brunch. 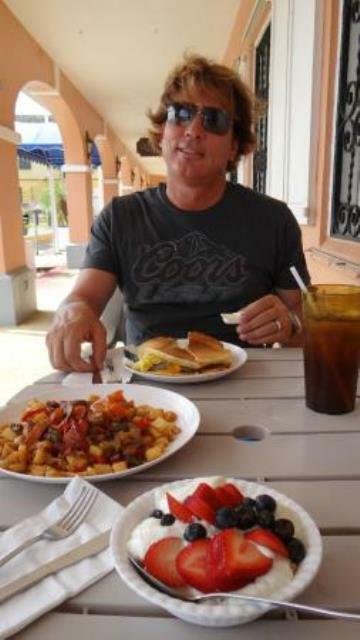 Rowdy Joe’s – For a more down-to-earth dining experience, visit Rowdy Joe’s. Focusing on local fare and a variety of traditional American dishes, Rowdy Joe’s combines the taste of home with the Carribbean. 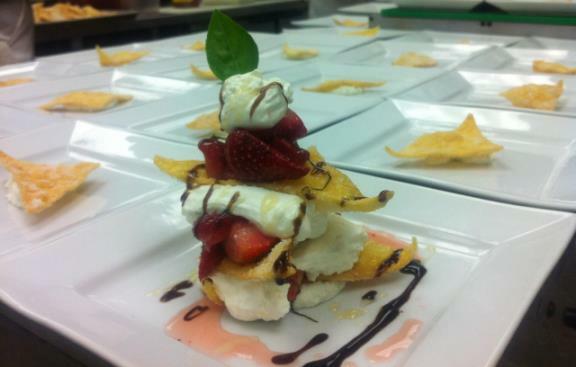 Enjoy a fresh fish dish and end the meal with some homemade ice cream. 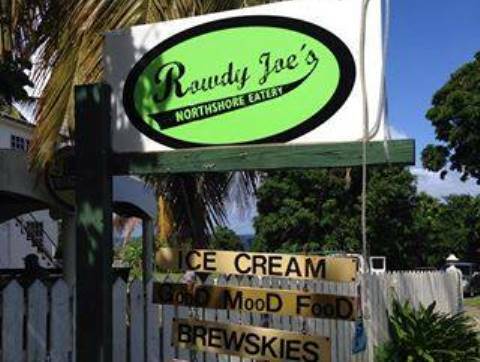 Rowdy Joe’s is located at the east end of Cane Beach in Christiansted. Villa Morales – On the other end of the island, Villa Morales focuses on Crucian cuisine in Frederiksted. Enjoy an authentic meal in a relaxed St. Croix diner and discover some of the charm that inspires many to move to the island permanently. The Waves at Cane Bay – An American-style restaurant, The Waves offers some high-quality food with an ocean view. Situated right on the coast, visitors can eat on the open air porch, dining on the freshest catch of the day. The Waves is conveniently located at Estate Cane Bay. If you’re ready to head off on an exciting cruise vacation, now is the time to start planning. Instead of sweating the details, let our experienced staff at CruiseExperts.com handle it for you. Contact us by calling 1-888-804-CRUISE (2784), visiting our website www.CruiseExperts.com or emailing us at info@cruiseexperts.com. Linda Brandt joined the team at CruiseExperts.com in November 2011. She has been working with the marketing team in many capacities. Her new role is to pass on the expertise of the agency to help travelers understand the world of cruising through blogging. She studied journalism and writing in college and was a writer for The Campus newspaper for two years at the College of the Sequoias. She is also currently working on her Bachelor’s degree.